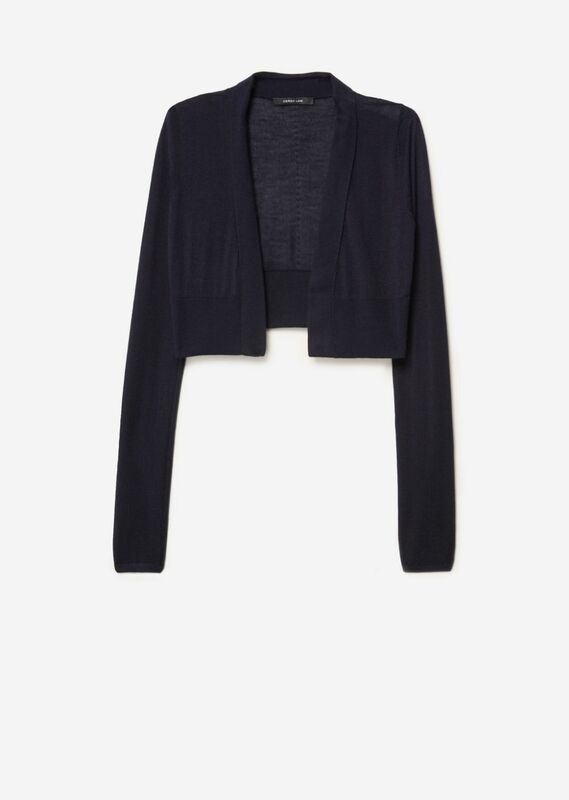 Long sleeve cropped cardigan. Cashmere silk jersey. Imported.